Melvin Woodrow Johnson, of Everett Washington joined the 6th Infantry Division at Camp San Luis Obispo, California before the Division was shipped to Hawaii and its first combat assignments in New Guinea. 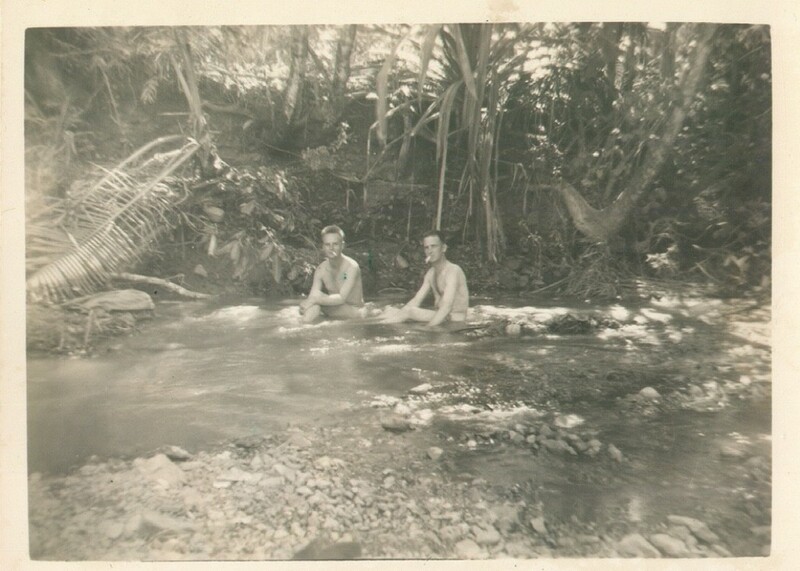 Assigned to the 6th Combat Engineers, Mel saw action throughout the New Guinea and Luzon campaigns. 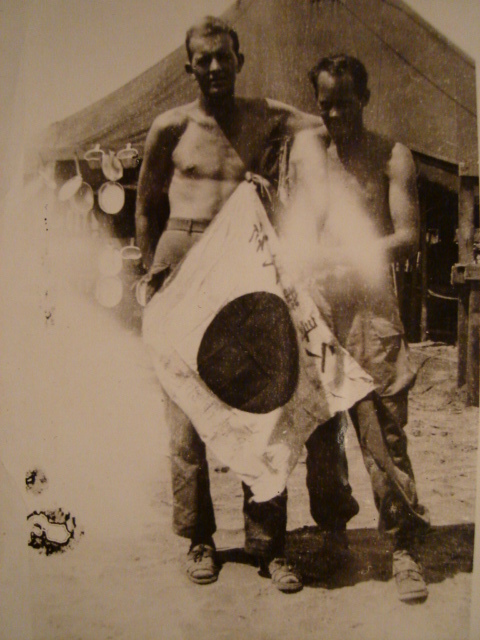 Mel was awarded the Bronze Star for Meritorious achievement on the Island of Luzon, the Philippines for quick thinking in the construction of a bridge using wrecked Vehicles of the Japanese Army. Although he spent time hospitalized with jaundice on Luzon, he recovered and served well beyond the end of the war when the 6th Division was assigned to Korea to disarm the Japanese forces there who had surrendered. Mel who lived in Gresham, Oregon, and who died in the care of his son and daughter-in-law, is survived by his son, Bruce Johnson, his daughter-in-law, Debbie Johnson, and his sister Mildred Miller. Private burial is at Willamette National Cemetery on September, 24, 2004. If you remember Mel, please contact the webmaster at admin@6thinfantry.com and we will convey your message to his family. PFC Junior B. “Duck” Sloan Serial #[restricted webmaster] , of the 63rd Infantry regiment, Company C, was born in Camden, Mo, the son of Fred and Myrtle Brady Sloan. Junior served from July 6, 1941 to December 8, 1945 and was honorably discharged earning two Bronze Stars, the Good Conduct Medal, Asiatic Pacific Medal, the American Defense Service Medal and the World War II Service Medal. 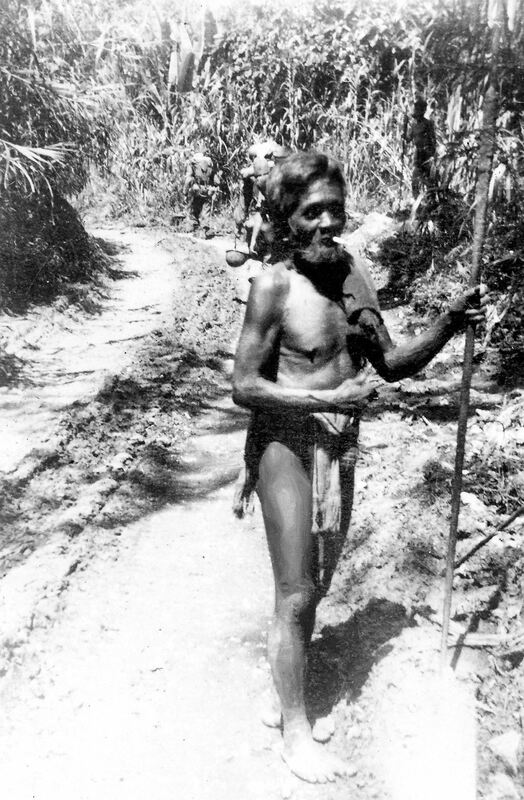 He served in New Guinea and Luzon. Junior reenlisted and served from December 8, 1945 to September 20, 1948 when he was finally discharged. In 1983 Junior retired from the Western Envelope Company after 28 years of service. He was preceded in death by his wife Freida Lauck Sloan, his son Howard Sloan, his parents and his 10 brothers and sisters. He is survived by his daughter, Pamela Sloan, Stockton, CA and his son, Paul E. Sloan, Kansas City, MO. Junior had a great sense of humor and loved to watch sports, especially football and baseball. He was also a big fan of the World Wrestling Federation. A much-beloved and celebrated World War II veteran of Itasca County, U.S. Army Technical Sgt. Donald E. Rudolph, Sr., passed away on Thursday. A decorated Army infantry soldier, Rudolph was one of an elite group of people to be awarded with the highest level of military honor possible: The Congressional Medal of Honor. He was awarded the medal on Aug. 23, 1945 by President Harry S. Truman for â€œbravery beyond the call of dutyâ€ for his services during World War II. 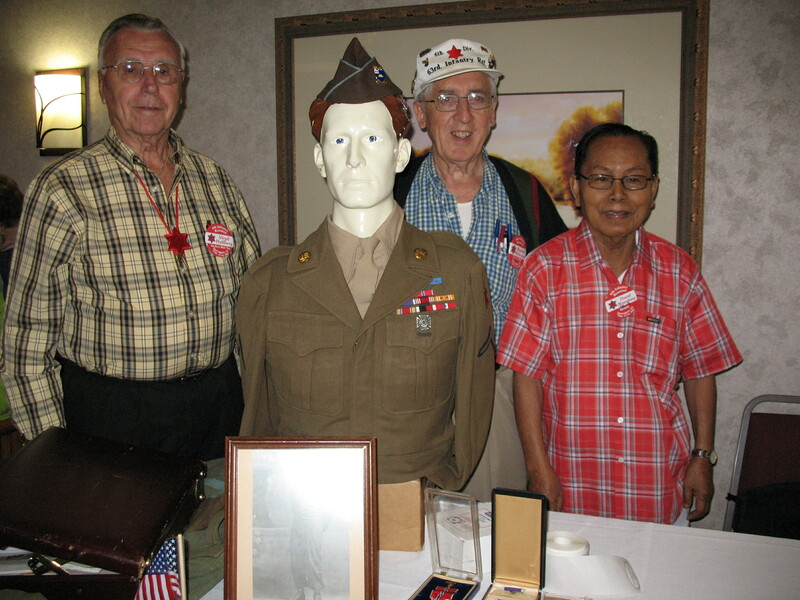 â€œHe was a great patriot and a hero during World War II,â€ said Itasca County Veterans Services Officer Marvin Ott. According to Ott, Rudolphâ€™s death leaves just one living Medal of Honor recipient in Minnesota. 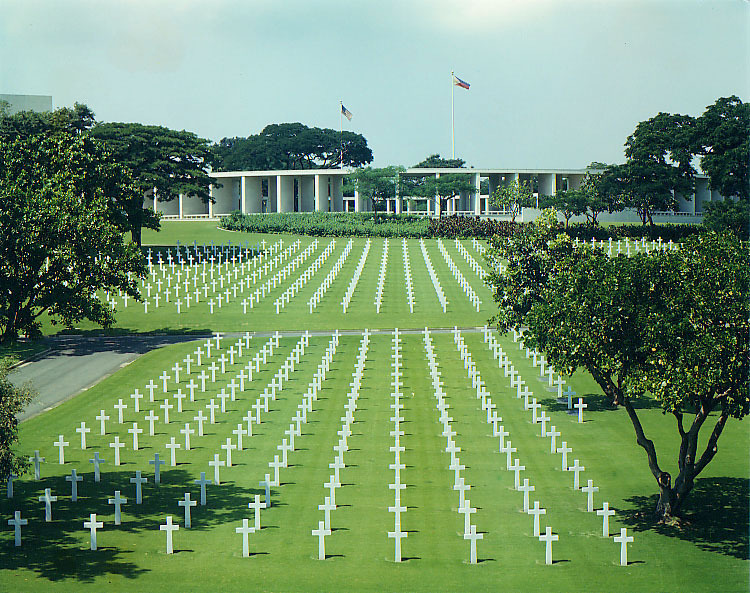 There have been a total of 3,461 Medals of Honor awarded to 3,442 individuals. Of those, just 113 were still living before Rudolphâ€™s passing – 38 of whom served in World War II, according to information from the Congressional Medal of Honor Society Web site. Ott says services planned for Memorial Day in Grand Rapids may be altered to honor Rudolph, and stated, â€œI will certainly mention him in my remarks.â€ Ottâ€™s message will be delivered at the Itasca Calvary Cemetery at 11:15 a.m. Monday, May 29. As a Congressional Medal of Honor recipient, Rudolph and his wife Helen have attended several Presidential Inaugurations, where Rudolph has shaken hands with presidents Kennedy, Nixon, Carter, Reagan, Bush, Clinton and George W. Bush. Rudolph was a brave leader during World War II. When the company that was supposed to be supporting his unit was pinned down by enemy fire, he bravely crossed the battlefield alone, protecting himself with grenades. He single-handedly destroyed two Japanese pillboxes before taking the initiative to attack and neutralize six more. He protected his unit again when it came under fire from an enemy tank by selflessly climbing onto the tank, dropping in a white phosphorus grenade through the turret and killing the crew inside. Ultimately, Rudolphâ€™s actions cleared the way for an advance that led to victory for the U.S. Armyâ€™s 6th Infantry Division. Even after being hit later with shrapnel, Rudolph survived. 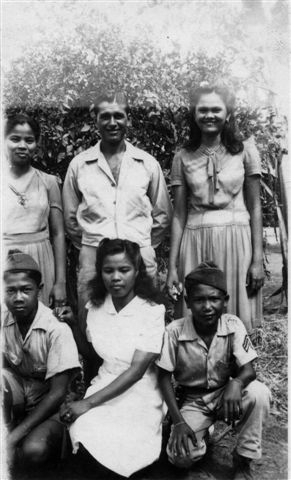 He and Helen raised two children while he continued his military career for nearly 20 years after the end of World War II. After retiring from the Army in 1963, he worked for the Veterans Administration as a Veterans Benefit Counselor until he retired in 1976, moving with Helen to Shamrock Lake, north of Bovey. Rudolph will be buried with full military honors on Wednesday, May 31, at Ft. Snelling National Cemetery in Minneapolis. Arndt L. Mueller, Col. Co K, 63rd Inf. Reg (then Lt). Arndt L. Mueller of Naples Florida passed away Monday, September 1, 2008 at Bay Pines VA Hospital in St. Peterssburg Florida. Arndt had been a resident of Naples since 1972. He served 31 years with the United States Army including WW II, Korea, and Vietnam. Arndt graduated from South Dakota State University and the University of Miami School of Law. He was a founding member of Faith Lutheran Church in Naples. He is survived by his wife, two daughters, son, seven grandchildren and two great-grandchildren. 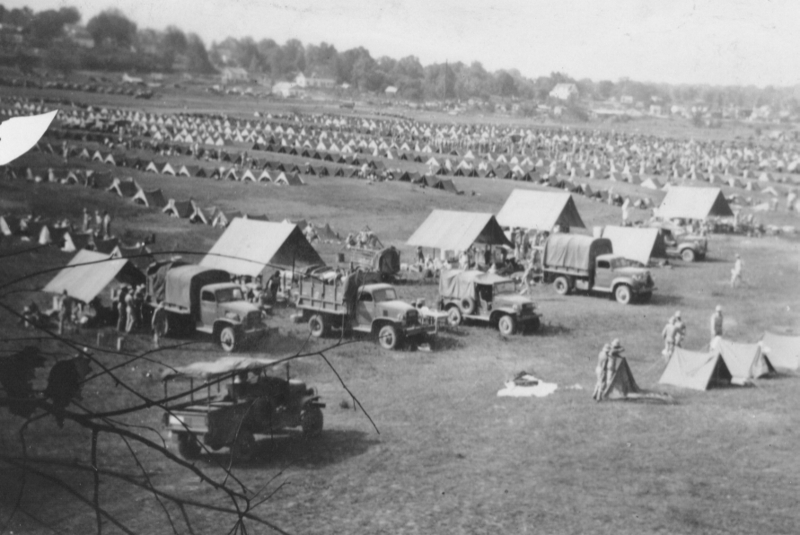 Arndt was a new Lieutenant with the 6th Infantry Division in 1941. He was Company Commander of Co. K 63rd Inf. Regiment at Lone Tree Hill. 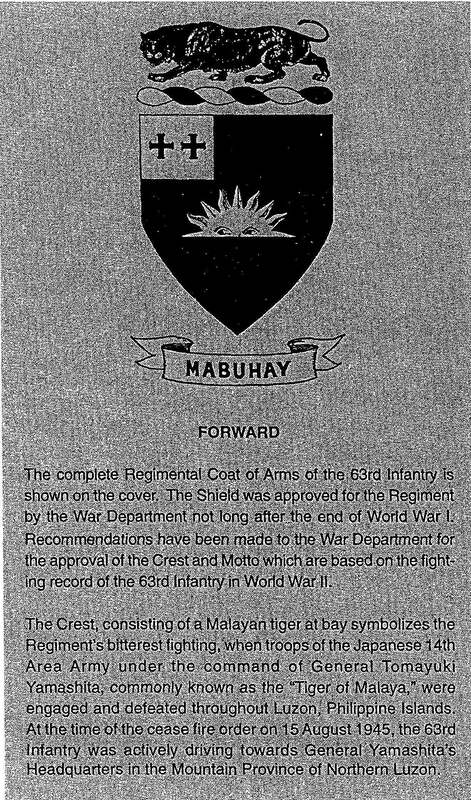 He was promoted to Commander of the 3rd Battalion, 63rd Infantry Regiment during the Luzon Campaign. A great help to Russ McLogan in writing his book, “Boy Soldier” Arndt Mueller was also mentioned in the book “World War II Cavelcade” noted in our bibliography. He leaves behind many comrades in the National Association. Co. Eugene M. Orton 20th Inf Reg. Died October 30, 2008. Colonel Eugene Milton Orton, 96, U.S. Army (Retired), of Denver, Colorado, died peacefully on October 30, 2008. Born November 24, 1911 to Eugene D and Blanche M Orton in Wichita, Kansas; his family soon moved to Joplin, Missouri, where he spent his formative years. After graduating from Joplin High School in 1929, Gene and three friends embarked on a cross-country road trip from Joplin to Los Angeles. While on that epic journey, he climbed Pikes Peak on foot, arriving at the summit just in time to catch the last train down to the mountain base. In 1933, Gene graduated from the Civilian Military Training Corps (CMTC) and received his officer’s commission in the brown-shoe US Army. His very first Army assignment was as a Company Commander with President Roosevelt’s Civilian Conservation Corps (CCC). In World War II, Colonel Orton was a proud member of the Sixth Infantry Division, participating in ground combat operations in both New Guinea and the Philippines. At war’s end, he performed occupation duty in Korea. In 1949, he once again returned to Korea as part of Korean Military Assistance Group (KMAG), where he also met his future wife, Vera. Gene and Vera soon returned to the USA, and they were married on December 8, 1950. In 1953, while attending the Army’s Command and General Staff College in Fort Leavenworth, Kansas, he became the proud father of his twin boys, Robert E and Eugene W Orton. However, the arrival of his sons also affected Colonel Orton’s academic performance. As he was fond of reminding his boys, his class standing rapidly fell from #2 to rock bottom within weeks of their birth. 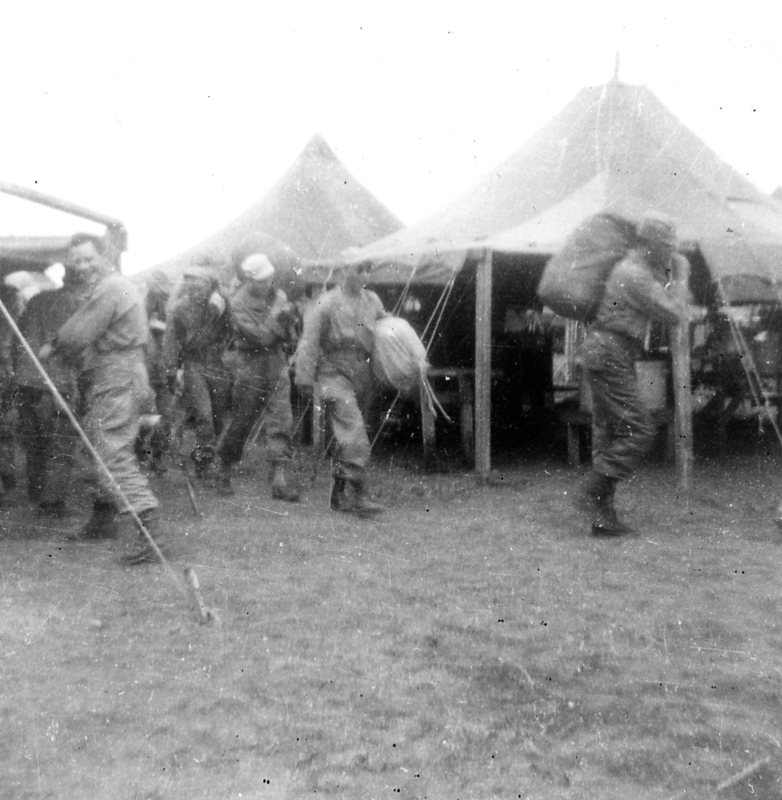 Many challenging assignments followed, and his family was fortunate to accompany Colonel Orton on all of them. The highlight of Gene’s Army career was his assignment as NATO Liaison Officer to the Turkish General Staff, where he earned unprecedented trust and friendship from the government of Turkey. His final Army assignment was as Fifth Army Provost Marshall in Fort Sheridan Illinois. After more than 32 years of distinguished service, he retired from the Army in 1967. His military awards were numerous, including the Legion of Merit, 2 Bronze Star Medals, Air Medal, Purple Heart, and the Combat Infantryman’s Badge. Following his retirement from the Army, the Orton family moved to the Denver area, where Gene entered civilian employment. He was regional manager with Burn’s Detective Agency and a department director for the Boy Scouts’ Denver Area Council before settling in with the City of Denver’s Office of Emergency Preparedness. He finally hung up his spurs for good in 1981, and devoted himself to enjoying retirement with his beloved wife, Vera. Throughout his adult life, he was active in many professional and humanitarian organizations, among which were the Masonic Lodge, El Jebel Shrine, the VFW, the American Legion, Military Order of the World Wars, Military Officers’ Association of America, and Military Police Corps Association. His wife, Vera, and his daughter, Mary Ann Truhitte, of Cassville, Missouri, preceded Gene in death. Colonel Orton is survived by his two sons, Eugene W Orton (wife, Nina) of Denver and Robert E Orton (wife, Maria) of Aurora, grandchildren Eric, Andrew, and Andrea Orton of Denver, and Michelle Fields of Cassville, Missouri. Memorial services will be held at 10:00 AM on Friday, November 7, 2008 at Fairmount Cemetery’s Ivy Chapel. Graveside service with military honors immediately follows at 12:30 PM, Fort Logan National Cemetery. In lieu of flowers, donations may be made in Gene’s honor to the Fisher House Foundation, website http://www.fisherhouse.org. Condolences may be sent to www.fairmountcemetery.net. I am the eldest child of Arndt L. Mueller, Col. Co K, 63rd Inf. Reg (then Lt. I found you doing a search on his name. He had a life-long love of and admiration for the men of Company K and called them “my heroes.” He gave me copies of both books,“Boy Soldier” and “World War II Cavelcade,” highlighted so I wouldn’t miss “the important parts.” I am grateful to those authors who told me my childhood reticence toward him because “he looked mean” was perfectly okay because they thought he looked mean, too. For any comrades in arms still around, they might like to know he is finally going to be buried at Arlington National Cemetery, Tuesday, November 12th at 1 PM. Thank you for remembering him.